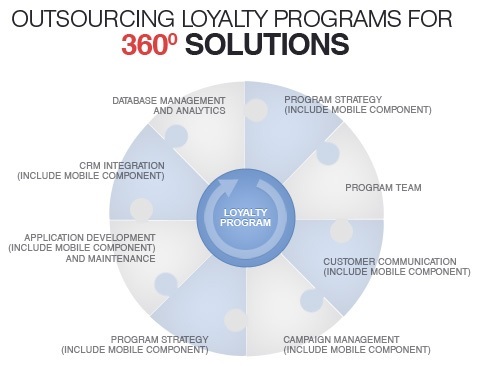 Harness maximum customer retention and profitability with TOOSER TECHNOLOGIES's loyalty program solutions. For over a decade, TOOSER TECHNOLOGIES has developed functional and comprehensive suite that promote repetitive visitation, customer retention and elevate revenue generation. Prima facie, consumer loyalty programs are significant collateral of any successful business model, but at their core they prove to be equally effective marketing tools. As the industry scenario changes, consumers are exceedingly signing up for loyalty memberships. Loyalty programs leverage loyal consumer behavior and reduce the consideration chances of competitive products and services. In US alone, number of loyalty card holders has exceeded the 2 billion mark. Statistics, however, also reveal that though an average US household has signed up for 18 loyalty programs, only 8 of them are put to use. To boost consumer loyalty and meet the objectives of a loyalty program, it needs to be of optimal value. Technologically equipped programs are capable of leveraging better business benefits, while meeting consumer expectations in a targeted manner. Customer Satisfaction: Only satisfied consumers return for second purchase, along with several new leads. Customer satisfaction is of prime importance, especially in case of first purchase. Satisfaction emanating from prior experience prompts consumers to come to the store again and again. Businesses need to focus on meeting consumer requisites first and consumer retention second. Interpersonal Relationship: In the changing scenario, businesses need to establish an interpersonal relationship with the consumers that maps beyond the business vertical. A two way interaction becomes necessary, especially to cater to the evolving consumer needs. In the era of social networking, businesses need to improve their communication methodologies and integrate significant technological tools into their business model. This is the key to strengthen consumer loyalty. Switching Barriers: switching barriers are created as soon as consumers sign up for loyalty programs. If a consumer leaves a loyalty program after signing for it, he loses any point he earned on previous purchases. This prevents consumers from giving into signing up for a loyalty program. Attractive Alternatives: Cut-throat competition prevails in the marketplace as consumers have access to numerous alternative products and services. Several factors such as better deals, comparative presentation and cost-effectiveness increase the affinity towards these alternatives, thus drawing them towards them. This may create a barrier in loyalty. TOOSER TECHNOLOGIES understands the importance of human capital in consumer loyalty. There is more to loyalty than consumer retention; it's more about the people. TOOSER TECHNOLOGIES develops software solutions that provide businesses with new and interactive ways to collaborate and connect with consumers. Our solution architecture is designed to promote loyalty amongst your consumer base and add value to your business strategy. With our solutions you can collect essential socio-demographic information as well as scan the visiting habits of your customers. Versatility: Loyalty program solutions rendered by TOOSER TECHNOLOGIES are versatile and cater to diversified requisites of your loyalty program, including gift card facility, employee incentive program, customer loyalty program, stored value card, fundraising, lay-by facility and frequent shopping platform. Consumer Engagement: Using loyalty program solutions from TOOSER TECHNOLOGIES you can develop programs that cater to all types of consumers. Being scalable, our solutions leverage features like stored card value, incentive program and redemption reversal to your loyalty programs that facilitate ongoing consumer engagement. Know Your Consumer: At TOOSER TECHNOLOGIES, our consultants comprehend the value of consumer data and thus render solutions that are targeted at capturing consumer activity data. This enables you to track down your promotional efforts and analyze how successful your program is. Communication Channels: Consumer loyalty programs open a new communication channel for your business. Emails or messaging are things of past, loyalty programs let you discover new avenues of communication. Multiple Options: TOOSER TECHNOLOGIES renders plethora of solutions that can be customized to suit your needs. These solutions enable you to incentivize your consumers with alluring promotions and new offers. You are also allowed to monitor the success of your loyalty venture through informative business reports. To know more about our loyalty program solutions and to get in touch with us, please complete our request information form and we shall get in touch with you shortly.